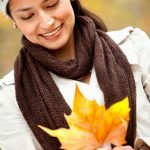 As the autumn season sets in so do some beautiful changes. It’s a time when colors change, moods change, and weather changes. Many people love this season because of its romantic aspect. Here are 15 reasons why autumn is one of the greatest seasons ever. The trees change color and look really pretty – yes with the changes in temperature you will notice the leaves starting to turn a beautiful orange and yellow welcoming the changing season. The ground along street and parks positivity gleam with autumn flare – of a night the city lights gleam against the ground and any fallen leaves making for a spectacular view as you walk along with friends. It seems like the world becomes more atmospheric – due to the beautiful changes you may feel like the world has a wonderful atmospheric feel and aura about it. There are plenty of leaves to kick – because of the falling leaves, it gives you more reason to have fun with friends kicking the leaves up in the air. There are also plenty of leaves to jump into – many people love making leaf piles and falling into them. It is great fun. There are plenty of conkers to smash – Conkers fall off the trees and there are plenty around, making it the perfect smashing season. It’s the season for the best rainy weather – during the autumn season rain is a signature sign fall has begun, and it gives you a chance to dance in the rain. Mornings are golden and may be misty – the autumn mornings bring a wonderful misty feel that is quiet and alluring for morning walkers. You can enjoy autumn season flavors with pumpkin spiced lattes and other pumpkin-flavored food – pumpkin flavors are always a favorite for everyone, and with the changing season, you can really taste new and exciting things that are perfect for everyone to enjoy! You can enjoy slow-cooked foods, hot pudding and hot coffee than any other season – in your quiet time you can sit back, relax and unwind with your comfort foods – yum!. You get to wear some fashionable warmer clothes – with the onset of the cooler weather the warmer fashion pieces come out to play with plenty of style. You can enjoy all the seasonal TV shows – during the fall season, there are many favorite TV shows that always come around each year that will get you hooked. Enjoy a candlelit bath and add a romantic feel to your home and relationship – autumn is the time for romance to flare so why not set into motion some extra touches to make your evening extra special. You know that Christmas is around the corner – winter is never far away when the autumn season comes around and the feeling of excitement starts to flare up within you! With the changeover in daylight saving you can enjoy a whole new extra hour – with daylight savings coming to an end you can do more things with the extra hour that you will gain.